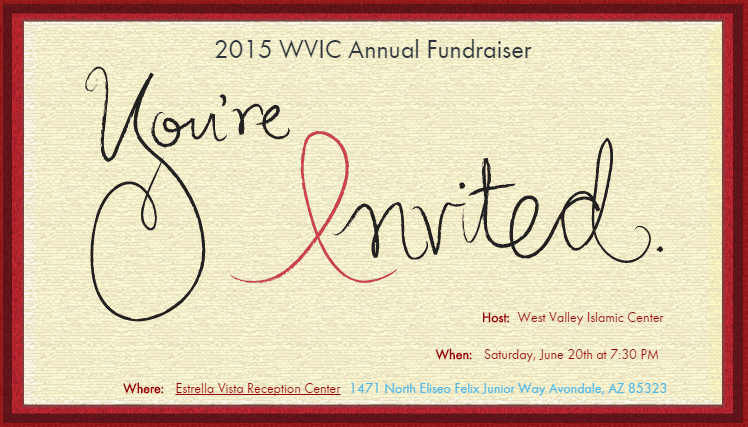 Please join us on Saturday, June 20, 2015, at 7:30 PM for our annual fundraiser iftar at Estrella Vista Reception Center. Details to follow. Please RSVP so we can make proper accomodations.